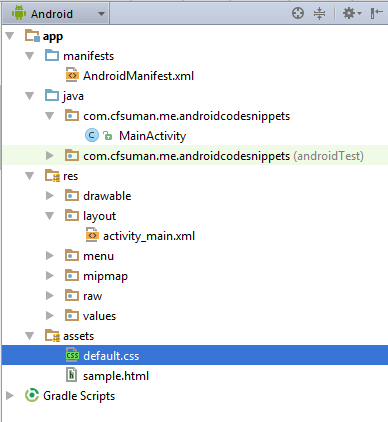 I have already discuss on CodeSpeedy how to build an android app which loads a website or web page within the android app using the inbuilt android WebView class. You already may know that you just have to put URL inside loadUrl() and you will be able to load that web page from your android app. That’s it! You have done. Now test your app and have fun. This is very much useful way to show local html file in android webview. Thanks for sharing this awesome method to load local html file in android webview.